A white Chevrolet HHR went off the right side of the roadway, hitting a utility pole and downing power lines before coming to rest in a field. 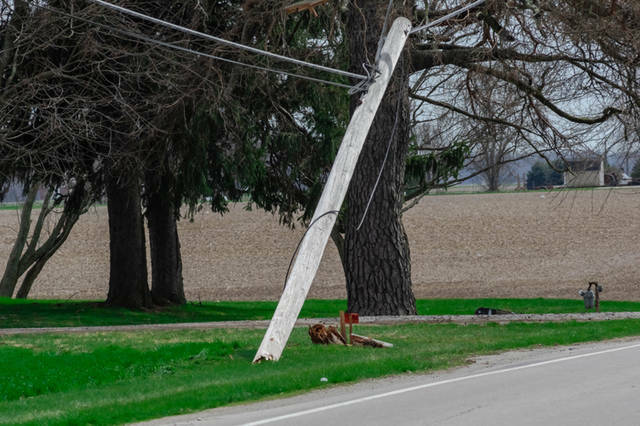 ARCANUM – An elderly couple avoided injury Thursday afternoon when the vehicle they were traveling in left the roadway and hit a utility pole, causing downed power lines. 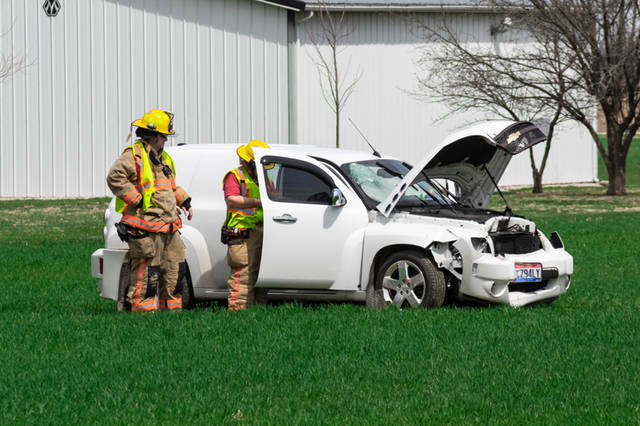 At approximately 2:35 p.m., emergency personnel from Arcanum Fire and Rescue along with deputies from the Darke County Sheriff’s Department were dispatched to the area of 1950 Arcanum-Ithica Road in regards to a single-vehicle accident with possible injuries. 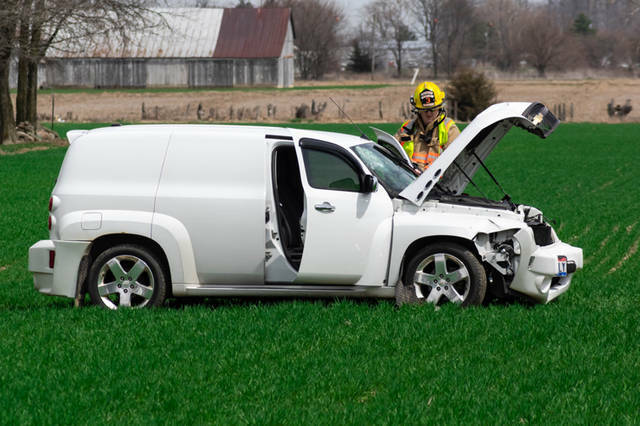 According to the Darke County Sheriff’s Department, a white Chevrolet HHR was travelling northbound on Arcanum-Ithica Road when the driver lost control of the vehicle and went off the right side of the roadway, hitting a utility pole and downing power lines before coming to rest in a field. Arcanum-Ithica Road was shut down to both north and southbound traffic due to live power lines reported to be crossing the roadway. Both the male driver and his female passenger were treated on the scene by Arcanum Rescue before refusing any further treatment and transport to a medical facility. This entry was tagged Arcanum Fire and Rescue, Arcanum Fire Department, Arcanum Rescue, crash, Darke County Sheriff’s Department, Darke County Sheriff’s Office. Bookmark the permalink.